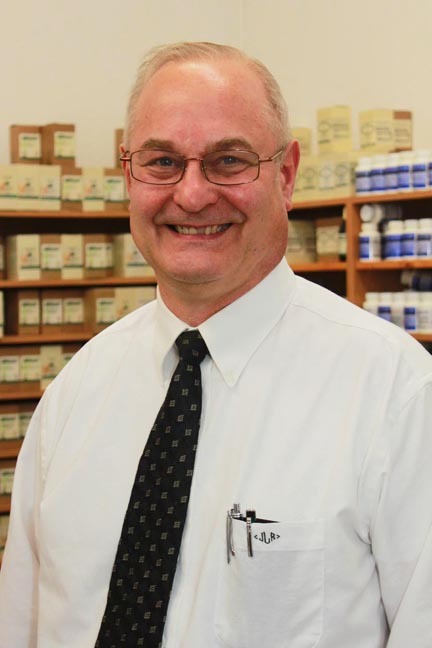 Dr. Jon R. Link is the owner of Milford Chiropractic Clinic, in Milford, IL, which is dedicated to helping patients find optimal health through good nutrition and other natural means. 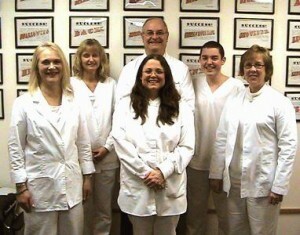 He has now expanded to the Champaign area with a new clinic, Energy Healing Systems. At the new office he will practice only energy healing, making available acupuncture and keeping a Reiki practitioner on staff. But at the center of his practice will be the Nutrition Response Testing procedure. Dr. Link graduated in 1983 from the National College of Chiropractic. He worked as an associate for two years in Danville, Illinois, before opening his own offices. He has worked in general chiropractic, acupuncture, physical therapy, sports medicine, and orthopedics, but his true passion is his nutrition work. He has had literally hundreds of hours of education on the subject, but always felt he was missing something. He knew that nutrition was the foundation of good health, but found that supplementation and diet could generally only go so far in helping his patients regain and maintain their health … until he found a testing system that was so laser focused, so specific in its analysis and application, that it brought what appeared very often to be miraculous results in some of his most difficult cases. In 2007, Dr. Link graduated from Ulan Nutritional Systems advanced training program for Nutrition Response Testing, a non-invasive, safe, and effective system using applied kinesiology (muscle testing) to help patients find a nutrition program individually designed to heal and rebuild the body. Over his many years of practice, he had seen and considered other applied kinesiology systems, and had thought the whole principle of muscle testing ridiculous. But when he came upon Nutrition Response testing and saw how his colleagues were able to help their patients so effectively, he could not help but be impressed. In studying the system he found that the difference between Nutrition Response Testing and other systems is its focus on finding and correcting the actual stressors in the body so that it can heal itself and stay well. The work entails testing the various organ reflexes in the body and finding the weakest one. That reflex is then tested against the most common stressors of today, such as food sensitivities, immune challenges, heavy metals, chemicals, and scars that could be hampering the energy flow of the body. Once the stressor or stressors relevant to the primary weak reflex are identified, the system can also identify diet changes and supplementation necessary to help the patient’s body deal with the stressors effectively, thus helping him or her regain health naturally. The system capitalizes on the homeostatic principle that the human body is designed to heal and maintain itself, and will do so if given the proper nutritional building blocks. But what does the term ‘muscle testing’ mean? Dr. Link believes we are all energetic beings … meaning energy flows through us as well as through everything around us. If that energy is somehow compromised by any kind of stressor, parts of the body … organs or organ systems … are also energetically compromised. He says that Nutrition Response Testing works on the principle that these weaknesses can be found by the practitioner jus interfering with the patient’s energy flow simply by placing his hand over a reflex which corresponds with a certain organ and pressing lightly on his patient’s upraised arm with the other hand. If the arm goes weak under pressure and falls, the reflex being tested is weak, or unable to withstand the practitioner’s interference. This usually indicates that the identified organ is somehow being compromised by one or more stressors. However, if the patient’s arm stays strong under pressure and does not drop, the reflex and its corresponding organ are considered healthy. Once a weakness and its stressor or stressors are found, Dr. Link is able to find, and help the patient implement, a diet and supplement program that will give the patient’s body what it needs to handle the stressors so it can heal. And he has the patient testimonials to back up his claim. He has helped people find health through the testing procedure whose health profiles were very tenuous indeed. He has helped his patients find and clear metals, chemicals, and parasites, overcome severe drug reactions, handle Crohn’s disease, heart disease, and insulin resistance. And he has also helped his patients with the simpler things like the common cold and other viruses. Because of its effectiveness in dealing with both serious and less serious health concerns, Dr. Link believes that Nutrition Response Testing is the most comprehensive and effective tool one can use to regain and maintain good health.